CANCUN — Ingrid is a 72-year-old German citizen who has lived since June 16 at the facilities of the International Airport of the City of Cancun., unotv.com.mx reports. The tourist decided to visit Mexico to document a book of her authorship. However, when she arrived in Cancun, in the area of ​​the platform, her belongings were stolen. Now, Ingrid has wandered through Terminal 2 for nearly six months and is fed by what tourists leave behind. 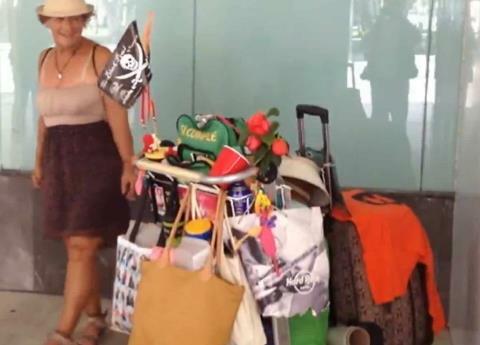 Although Ingrid was supposed to have left Cancun November 16, the German tourist refuses to leave the airport until her belongings are returned.